My name is Adam Sonnhalter. 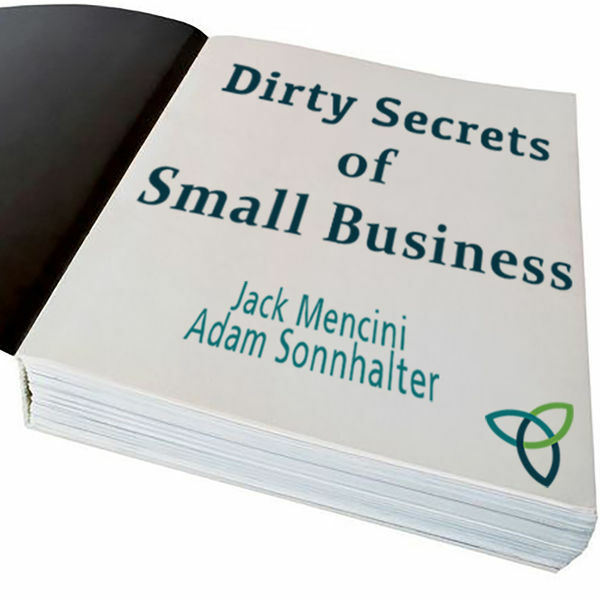 My business partner Jack Mencini and I have been partners in a business coaching business, Maximum Value Partners (“MVP”), since 2003 and we have been radio show/podcast hosts of the weekly radio show Dirty Secrets of Small Business (“DSSB”) since May 2016. Between the two of us we have owned and operated over 20 companies after early careers in corporate America. We bring real-world experience from guys who have been there and done it. We are all about small business and our focus is owners of companies with anywhere from 1-25 employees. Our podcast shares stories from our weekly coaching sessions with clients. We tend to focus on one “how” question each week and come at it from several angles and share dozens of stories about different situations where we’ve helped clients answer that “how” question. Each episode is about 50 minutes long. Neither Jack nor I had any radio experience prior to launching DSSB and we’ve continued to evolve the show to where it’s very conversational. Nearly every week we have clients who reach out to say they heard us talking about them on our show. Once in a while the client is correct, but usually we’re talking about somebody else. This just helps to reinforce for them that no matter what they’re going through, good or bad, many other folks have been through and overcome similar obstacles. We had been toying with the idea of doing a podcast for several years when an opportunity presented itself to host a weekly radio show on a local AM/FM station in Cleveland. There was a local business radio show where we’d been guests a few months before and the show host was experiencing some health problems and we decided to throw our hats in the ring as a potential replacement for his show. The station manager invited us in for an interview after pitching him on some ideas for a small business show and we even went through a couple of dry runs. We spent several hours whiteboarding ideas and names for the show and eventually came up with Dirty Secrets of Small Business. We initially had 4 segments for the show that were pretty structured to give us some more comfort with being on the air for the first time. The dry runs went very well and the station manager told us he wouldn’t have known that we didn’t have prior radio experience if we hadn’t told him. With Jack and I having been together nearly every day for 15 years at that point we feel that was a big reason why we came across so naturally from the start. The main reason for starting the show was to help more owners of small businesses. Jack and I love small business owners and want to do what we can to help them. We also felt the radio show would give our audience and potential customers a great way to get to know us and better understand the dynamic between the two of us. That has been reinforced often by folks who know us well outside of radio and who have commented that we come across just as we are in real life. A big concern with starting any new venture like a radio show/podcast is where will we find the time to do a 1-hour weekly show. As mentioned above, we had no prior radio experience other than being interviewed a few times on the air. We didn’t really know what it would take to prepare for a weekly show. We had a couple of key resources early on who helped us in the formation and launching of the show. One was a public relations professional we had recently engaged to do some publicity for MVP and the other is our web master who also has a lot of knowledge about podcasts. 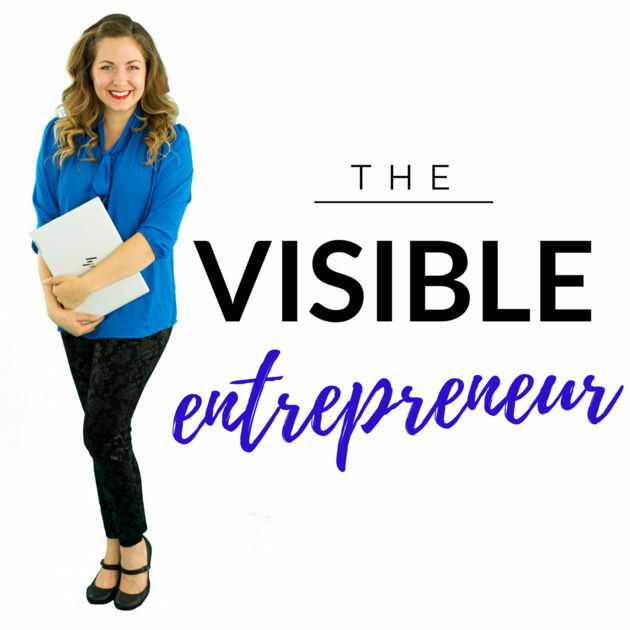 This was a key in helping take our weekly live show and turning it into a podcast within 24 hours and getting it placed on our MVP web site as well as out into the podcast universe on things like iTunes and Stitcher. We know there are hundreds of thousands of podcasts out there and we felt strongly that being live on the radio, in addition to being a podcast, would be a key differentiator for our show and provide instant credibility. It also afforded us the opportunity to utilize a real radio studio with all the requisite equipment (e.g. sound board, microphones) and show engineer. This allowed us to be able to focus on the content and delivery of the show each week from the beginning vs. having to worry about technical and production issues. he current format of the show tends to focus on what’s happened over the past week with our clients and we typically see a theme that evolves in those meetings that we share with the audience. One of the beautiful things about having a weekly show that goes out live on the air is that it keeps us disciplined. I know if we didn’t have to go to the studio at 7pm every Wednesday that there would be weeks where we would skip on doing the show. It’s kind of like having a personal trainer. You might cancel a workout with yourself, but it’s much more difficult when you know there’s someone else there waiting for you! We had what I’d refer to as a bit of a “soft” launch to our podcast where we didn’t really tell anyone about it for about 3-4 months. Given our newness to the medium, we wanted to get our feet under us with some shows and get our rhythm vs. trumpeting the news from the mountaintops day one. After this “soft” launch our PR person sent out a press release online to announce the launch of our show and podcast that was able to reach up to 8 million eyeballs. Every week our PR person would also shoot short videos of us live on the air in the studio and post them on YouTube with short write ups. 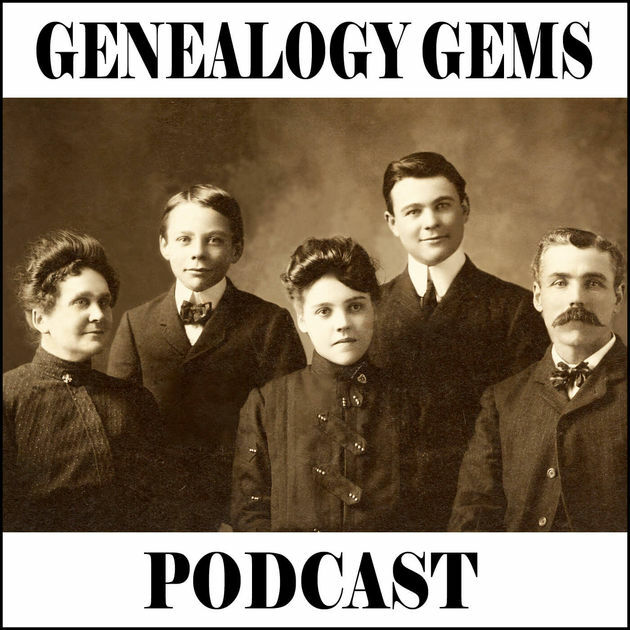 The full show write up with photos of us in action would also go on our MVP web site and also out into the podcast universe. Our PR person (and sometimes us) would share the weekly show on other social media outlets (e.g. Twitter, Facebook, LinkedIn) to get the word out about our show. For LinkedIn and Twitter it was mainly going out on our PR person’s personal account and Facebook was for our MVP account as was LinkedIn once in a while. YouTube was being posted on our MVP YouTube page. The problem was, we weren’t driving a ton of traffic to the podcast or radio show due to these efforts. We did an email blast out to an old email list we had gathered over the years as well but didn’t see much from that launch either. Our PR person was able to get us booked on a couple of other radio shows and podcasts including Jim Blasingame’s The Small Business Advocate daily radio show for several guest spots. There were several other attempts to reach out to other media outlets (e.g. publications, bloggers, podcasts) without much luck. Our best guess for this lack of initial traction goes back to a comment the radio station manager mentioned early on when we asked about getting phone calls into our show. He told us that we were on for one hour per week and we were unknown so it would likely take us a year or more to build up an audience big enough to get the phone calls rolling in. As part of the radio show/podcast, we share several ways for listeners to be part of the show which include a call in number, email, Twitter, and a form to complete on our MVP web site to submit their questions or comments. After more than a year of trying to promote with our PR person, we broke ties and began the search for a replacement hoping we’d be able to find someone who would have more luck in getting our radio show/podcast found and building our listenership. We recently engaged a new publicist and we are hoping we will have better luck in the coming year which should include a closer promotional partnership with the radio station where our live show airs every week. Our business model is primarily 1-on-1 coaching with owners of small businesses across the U.S. At this point we do not make money directly on the podcast from things like selling advertising time or getting sponsors. It does however provide leads for our business coaching business. We will likely continue to investigate ways to monetize the podcast directly as we build our library and listener database. Like anything else you are committing to do on a weekly basis, you need to be committed to doing it for the long-run. While our podcast is only an hour a week, the preparation for the show as well as the typing up of show notes and getting the show posted also takes a couple of hours per week. So making sure you block off the time to do it is important. We have found it helpful to have the same day and time committed to doing the show. This is something we do on a regular basis with our client meetings as well. There’s a certain rhythm you get into by having a regular day and time set aside to do something like this. It’s also important to get some help with the clean up and posting of the show. We also had someone helping us with the write-ups but we had the wrong person doing it and it wound up taking more time to edit and rewrite their stuff vs. just starting from scratch. A big challenge early on was figuring out the format to use for our show since this whole radio/podcast thing was new for us. We started with a very structured format with four set segments but that seemed too restrictive and have evolved into a more fluid discussion based on one overall topic for the show. A big goal for our show is to help people get a feel for what we are like and what it would be like to work with us and engage in a discussion. 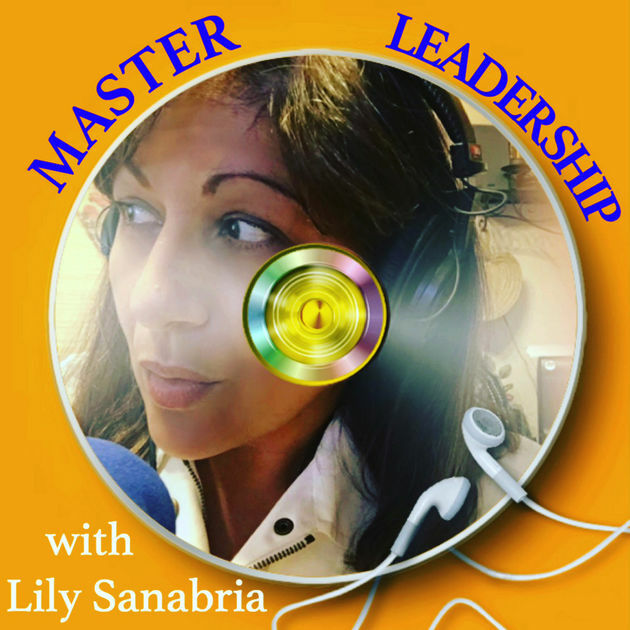 We have found it helpful to stay abreast of the biggest news stories since it can be helpful to have a hot topic to plug into when preparing for your show. Since we focus on small business, there aren’t too many stories where we can’t weave small business into the equation. One of the best ways we have found to be both interesting and unique is to share stories from your own personal experience. This is a big part of what makes you and your show unique. Also, don’t shy away from taking strong positions. State your opinion, explain your thinking and take on all comers. Learn to articulate and fight for what you believe in! It’s amazing how your perspective changes when you go from simply being someone listening to radio shows or podcasts to the person doing the radio show or podcast. One of the biggest things I would recommend is listening to as many radio talk shows and podcasts as you can for a month and do it with an ear toward what you’d like your show to sound like. As you listen you’ll pick up on little things you’ll want to do on the air as well as things to avoid. For radio novices like us, we had to learn to come back in from a break and go out to a break which includes teasing the audience to get them to stick around. We have found it’s a good idea to stick to topics you know about. Live radio is a dangerous and uncomfortable place to think out loud about things you aren’t too knowledgeable about. Especially since the worst thing you can do is have a bunch of dead air. Doing a show should be fun and so discussing topics that you are passionate about are important for your success. Above all else, be yourself on your show. That genuineness will shine through! There are lots of ways to get in touch with us: Maximumvp, our podcast, Facebook, LinkedIn or shoot us an email.